Companies are conducting business in a changing and largely unpredictable environment. This has always been the case. What has changed over recent years? Introduction of new business models and value propositions, increasing industry clock-speeds, global scale of operations, interconnected networks of partners, geopolitical and fiscal conditions are changing the characteristics and the impact of uncertainty and complexity upon global value chains. 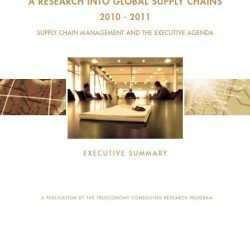 Recent research indicates that the frequency of disruptions having high and long lasting impact upon global supply chains is increasing. Company executive boards as well as governmental and inter-governmental forums are more and more concerned with the following key questions: how can vulnerability and exposure to high impact supply chain disruptions be properly assessed and reduced? how can supply chain resilience and business continuity be improved? At the same time, the behavior of supply chains is becoming difficult to analyze. The way different parts serve the value propositions in the chain is not clearly understood. 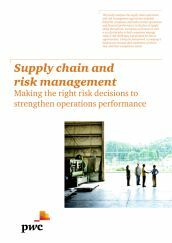 The shift towards more complex and uncertain supply chain environments implies that finding the right risk management strategy is not an easy task. The way to allocate resources to ensure business continuity is far from straightforward. 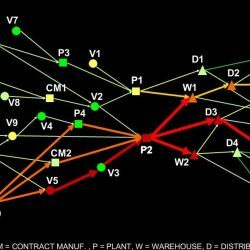 How can redundancy or flexibility be positioned in the right way when the behavior of the supply chain is too complex to analyze? Where in the chain do we introduce agility if the link with the value proposition is not clearly understood? Or if uncertainty is not properly captured? A lack of understanding of the nature of complexity and uncertainty in today’s supply chains is leading to investing valuable resources towards inappropriate risk assessment, risk mitigation and resilience strategies often having an opposite than the desired effect. PwC and Prof. David Simchi-Levi of MIT have launched a research initiative to study to which extent companies supply chain risk management practices are capturing the changing dynamics. Companies that participate in this initiative will be asked to fill out a survey and are able to meet peers at a state-of-the-art seminar (last year the research results were presented at a sustainability event with presenters like Kofi Annan and Prof. David Simchi-Levi). If you are interested to participate (or need more information) please sign up by sending an e-mail with your name, position, company name and contact details to Erik Diks (erik.diks@nl.pwc.com).